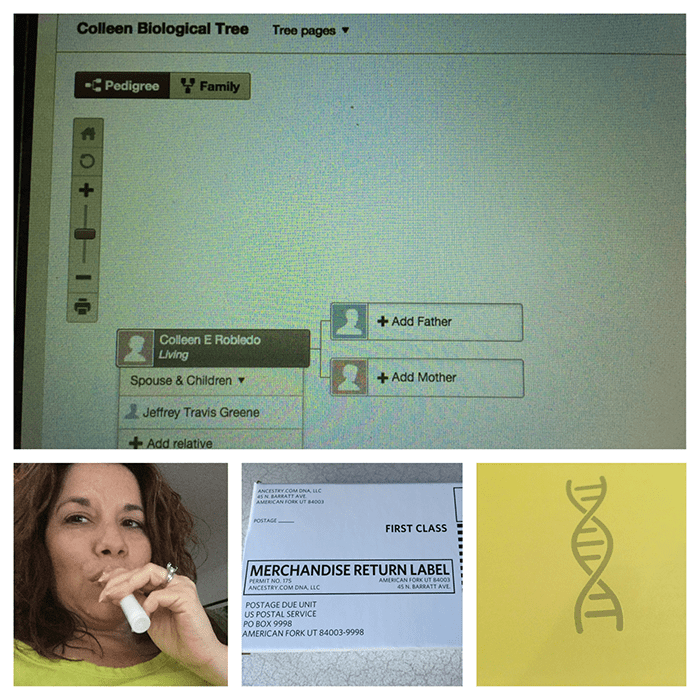 This past Wednesday, I blogged about finally caving and testing my autosomal DNA to learn about my ethnic origins and see if I get connected to any genetic cousins (I was adopted at birth). I also explained why locating my biological parents hasn’t and isn’t a big deal for me. Taking my AncestryDNA autosomal test. I am still waiting for AncestryDNA to process my DNA sample, however I have already had a significant breakthrough in this quest. I have a strong candidate for my birth mom. Thanks to a suggestion from my friend Angie Bush, a genetic genealogist. After reading my blog post on Wednesday, Angie sent a message asking if I knew about Search Angels — a generic term for volunteers who help adoptees identify and find their birth families, often able to identify birth parent surnames within just an hour or two. She steered me towards Search Squad, a closed Facebook group where people seeking biological family members (adoptees and others with unknown parentage) can get help from these volunteer Search Angels. This group runs a sister Facebook group specifically for California and Ohio adoptions, which is where I posted my query. These particular Facebook groups do not allow just anyone to join; a group administrator will contact you with some questions prior to admitting you as a member. This is to help cut back on looky-loos. I posted a query at 8:13pm on Wednesday, March 25th, with what info I knew about my birth and adoption: my legal birth name, birth date, birth county, mom’s maiden name (my real mom, not bio mom), that it was a public adoption at birth, and ages of bio mom and dad (from my adoption letter). By 8:25pm, a California specialist volunteer had claimed my case. This volunteer then messaged me on Facebook to let me know that she would have her volunteer team start on the search in the morning, and should have information about my birth parents the next day. By 9:37am the next morning, my Search Angel had my original birth info! These Facebook groups are not the only place one can find Search Angels. Several websites provide listings of Search Angel volunteers, usually by state. Search Angels do not charge for their services; some only for copies of actual records that they might retrieve on your behalf for a repository. They pay for various database subscriptions — genealogy, public records, yearbook sites, etc. — out of their own pockets, and do not pass those costs on to the people they help. Search Angels are located all across the U.S., some even in other countries. As I mentioned above, by 9:37am the morning after I posted my query, a team of Search Angels had found my original birth information. My California specialist messaged me asking if I was ready to meet myself! I was named Kerry M. at birth, on my sealed birth records, as evidenced by the California Birth Index, 1905-1995. My Search Angel tells me that because my biological parents were not married, but because my birth mom chose to identify my birth father, I am listed twice, once under each bio parents’ surname: as Kerry M. Rought, and as Kerry M. Deleon. Since my adoption letter states that my bio dad is of Spanish and French descent, we assumed Deleon was his surname. Rought also jived with the German and Duch ethnicity the letter attributed to my bio mom. California Birth Index, 1905 – 1995, entry for Kerry M. Rought. Courtesy of Ancestry.com. California Birth Index, 1905 – 1995, entry for Kerry M. Deleon. Courtesy of Ancestry.com. It is important that I clarify that none of these volunteers have access to the original unsealed birth certificates or adoption records. Being a public adoptee from California, my original birth certificate and original adoption records (which would clearly identify both birth parents by name) is sealed. It is illegal for these volunteers to access these records. It is illegal for me to access them, unless a superior court judge rules to release these records to me due to a compelling reason. I am only allowed to request birth records with non-identifying information, to protect the identity of my birth parents. So how then did the Search Angels identify my original birth information and the surnames of my bio parents? By starting with the California Birth Index (for births prior to 1995). Anyone can access this index, even within California, since it is public record. I should define some terms here. This terminology is the jargon used among the Search Angels/adoptees circles. I would need to defer to Judy Russell for confirmation or clarification of the legal terminology. Unredacted Birth Certificate: Original birth certificate, sealed and replaced with an amended birth certificate. Includes names of both birth parents (if a birth father was named), and name given at birth of the adoptee. Amended Birth Certificate: Legal birth certificate, which replaces the unredacted one. Reflects the legal name if an adoptee undergoes a legal name change (upon adoption). Lists the legal (adoptive) parents. Amended Birth Index: Birth index that includes listings from amended birth certificates. I am told this is the public records version accessible within California. My Search Angel team — based outside of California — did a search on the amended California Birth Index for my legal or amended birth certificate entry (I can’t access my amended post-adoption entry on the Ancestry version). This entry provides my birth certificate ID#. My Search Angel team tells me that California does not issue a new ID# when the unredacted certificate is sealed and replaced with the amended certificate — both versions of the birth certificate use the same ID#. This team has access to the unamended birth index and simply looked for the same ID#, gender, birth date, and birth county to locate the index entry for my unredacted birth certificate, which provides my original birth name(s) and birth mom’s maiden name. Once I understood that process, I immediately hopped on my Ancestry subscription and searched for myself using my birth name(s). Bingo! I instantly pulled up both entries (see screenshots above) — under my bio mom’s surname and again under my bio dad’s surname. Note that Ancestry’s version of the California Birth Index does NOT include birth certificate ID#s. There is simply no way I would have ever known these records were mine. Los Angeles County is a big place…there were probably many female babies born that same date. That birth certificate ID# was the key. I love this sort of detective work! After sharing my birth name and the surnames of my biological parents, my lead Search Angel asked I wanted help researching likely candidates. I thanked her, but declined, explaining that I am a librarian and genealogist who will enjoy the search process. We did both agree that my best bet was to work on the bio mom, since Rought is a less common surname than Deleon…at least in Southern California. This particular Facebook group of volunteers posts the findings on one’s original query, to let other Search Angels know that the case has been closed. Within minutes of my Search Angel doing that (literally, 4 minutes later! ), I had other volunteers immediately start tracking down birth mom possibilities based on maiden name, the age stated in my adoption letter, and residency in Los Angles County. While I planned to do all of this myself after getting home from work, who am I to reject immediate research assistance from others? Throughout the entire day, this group of volunteers kept sharing more leads, identifying two sisters as the most likely candidates, and agreeing upon the oldest sister as the top Birth Mom Candidate. They tracked down a Facebook profile for her, as well as for her two children. And throughout this flurry of discoveries, I was supposed to be able to concentrate on my job???! That evening, I started constructing a family tree for Birth Mom Candidate, based on records I found in Ancestry and Been Verified, as well as information I could glean off of publicly viewable information from Facebook. I also sent a private message to her Facebook profile (paying the $1.00 to make it show up in her inbox, since we are not Facebook Friends). The message introduced myself, and explained why I was contacting her. I asked if she could please confirm if my hunch was correct, to please excuse the intrusion, and that I would welcome a friendship (if our relationship was correct) or would respect her wish to not establish a friendship. That was Thursday night. Here it is Sunday afternoon, and no word yet. If she is like my own (real) Mom, Birth Mom Candidate doesn’t check her Facebook messages. Based on her Facebook Profile, I’d say Birth Mom Candidate doesn’t even use her Facebook Profile much. I do have some phone numbers from Been Verified, but I’d rather establish contact digitally than by cold calling. And my parents’ reactions to all of this? They’ve been very excited following every bit of progress. A lot of text messages have been flying between the three of us this past week. My head has been in a whirlwind since Thursday morning. As a work colleague told me on Friday, it figures that someone who has had no interest in learning about her birth parents would get so much information so fast… had this been something that bothered me most of my life, we would have turned up with zilch. Try to wait patiently for Bio Mom Candidate to check her Facebook messages and reply to me — even if to confirm her identity, but to say she does not want to have any type of relationship. I can deal with that. File for my non-identifying birth records with California and/or Los Angeles County. Wait for AncestryDNA to process my autosomal results, and see if any matches pop up with the surnames of Rought or Deleon, or the collateral surnames I have already associated with this Bio Mom Candidate. What I will not do is try to make contact with Bio Mom Candidate’s children — even though I can see that they are on Facebook quite often. As much as I would like to reach out to them, in the event their mother hasn’t told them about me (or even worse, the Search Angeles and I identified the wrong candidate), it is not my right to break this news to them and possibly disrupt their lives. If we have identified the right candidate, it is her right to decide if and when she will tell her other children. *Note: I have asked my legislative analyst husband to do some research on this whole California birth index access issue, and the legislative history behind it. Is it illegal for California residents and institutions to actually own or possess the old unredacted version of the index? Or is it simply no longer available for sale from the state of California (only the amended version)? Were California repositories and residents required to return the original unredacted index? Or are they still able to include it for public access in their government documents collection if purchased prior the state making it unavailable for sale? Yeah, who would’ve thought things would move along so fast? Michael Lacopo’s blog has indeed been an inspiration and good learning experience. How very interesting! Thank you for sharing this! I just helped someone identify her bio Dad when her dna test info informed her she and her sis were halfs. She was a great researcher herself. It took us six months and 3 dna tests, if we had known about search angels, we would have gotten results much faster i imagine. I have two other friends who are in similar situations, i will tell them, thank you so much! Thanks for the comment! I hope the Search Angels group will be of help to your friends! I came over to read your blog after seeing your intro on the Autosomal DNA forum and am just realizing this has all happened for you in the last few days! Wow! It’s amazing to me how quickly search angels network and find information. I’m on my own search for my daughter’s birth family, but unfortunately it isn’t in the U.S. so I know it will take much longer (with no guarantees). I have some wonderful (and much-better-schooled-at-searching) people helping me with the process, but I’m curious: you mentioned that on the FB group helping you, some search angels are from other countries. Do you happen to know if any are from China (or in China)? Best of luck with your journey. I’ll be eager to hear how things go. Yes, it’s been a crazy past week! The Search Squad Facebook group I mention (and link to) in the blog post just confirmed that they try to help adoptees from all over the world, so I definitely recommend you follow that link and request to join the group, if you are on Facebook. Another member of the group also recommended the AsiaAdoptionDNA group on Facebook as a resource for you to join: https://www.facebook.com/groups/asiaadoptiondna/. Colleen, what a spectacular beginning to your search! I had only recently become aware of the Search Angels through an “exact match” mtDNA test result of my own, aligning me with an adoptee seeking his birth parents. It was indeed an awkward experience to think that someone in my mother’s line had given up a daughter for adoption–but, as it turned out, the connection must be so far removed in time as to not show up in the genealogical paper trail, as far back as I’ve gone, up to this point (in the 1700s). Regardless, I definitely got caught up in my mystery cousin’s quest, and I’m glad to say he did meet up with his birth mother, and that it was a positive experience–and the beginning of a whole new universe! He was so impressed, he has become a Search Angel volunteer, as well. They are phenomenal! Best of wishes on your continued adventure. Please, keep posting! Now we all want to know!!! I was put up for adoption in Lackawanna NY 06/21/1959 at our lady of victory. I was told so many lies and all I want is who I am I. I’m an American citizen with No American rights. All I want is My health history and who am I. Contact Me if anyone can HELP Me out. Thank You for reading My note. I just wanted to thank you for writing this post. I stumbled across it on April 14th of 2015. I was reading one of your hiking blog posts and ended up reading this with great interest. 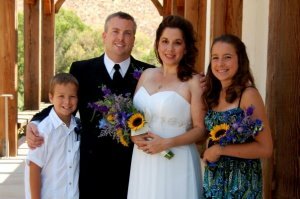 I was adopted at birth in California, and despite the full support of my adoptive family, I was never able to get any useful information or make any progress in finding them. after I read this post, I contacted the adoption angels group you mentioned on Facebook, thinking it would be fun to just lurk and read stories. they don’t do that- someone had contacted me within a couple of hours of my joining to get my birth certificate details. by 830 the following morning, I had been given my birth name and mother’s maiden name. a simple google search of my rather unique birth name revealed that birthmom had actually posted a search for me in 2001, on a site on which I was also registered. we had somehow simply not seen each others posts. by 3pm I knew her married name, that I had a half-brother and -sister. that she’s been married to their dad since 1978. that they lived in Washington state. their address and phone number. I dialed that phone number that night at 730. it was a truly life changing day, and it happened because YOU were willing to share your story and your struggle and your resources. I am deeply grateful to you for that. we just celebrated our one year ‘anniversary’ of reunification, which got me to thinking about how much of an impact this blog post has had for me personally and how grateful I am. many questions have been answered for me and I’ve become close with my birth half-sister which has been wonderful. thank you thank you thank you for sharing! I am also a geneology buff and have constructed an extensive family tree for both my families. I also recently did the dna test, as birth mom refuses to give me any details about birth dad and I’m hoping to begin to make some progress without her. best of luck with your own search, and again- thank you so much. Thank you so much for taking the time to come back one year later and share your comment. That means very much to me. I am so happy to hear about your own successful search on the birth mother side, and I am sorry (but not surprised) to hear about her unwillingness to help you identify your birth father. DNA can indeed be helpful there, although it was not for my birth father. However, when I met my birth mother last fall, she provided me with his information. Your comment reminds me that I never did get back to sharing the next steps in my own journey, so I will start writing about that here very soon. My mother told me my father died be for I was born. I have a birth certificate with his name but I have never been able to find out anything information.Since mothers death I did fine a card written to him at a army base in La. I still could not fine anything. I know he is most likely dead. Buy I may have kind some where. My birth name was Gregory Harold Clyde Newcomb. Colleen, Congratulations on your success in finding your birth mom. I’ve been trying to help my friend locate her birth family since last year & it’s proving to be a slow & difficult process. She was adopted in Michigan, a closed adoption state. I learned about Search Squad months ago & we both joined the group. Maybe you can help us by giving a tip on how to gain their help after posting. Is there something more we can do to get their attention? She’s had her post up for a week & had a comment by one angel but no offer of assistance. She bumps her post up to the top every day hoping for someone to notice it but so far, nothing. She is beginning to lose hope. Any advice would be appreciated! Sorry, but I do not have the time to help with adoptee searches. My blog posts on this topic will refer you to a free search angels group of volunteers on Facebook who can help.